Is this Brewers team in danger of being the worst in franchise history? Recently a friend of mine asked, “Is there a possibility that this year’s Brewers’ team could be the worst in team history? Well, when you are 20 games under .500 and have one of the worst records in the majors, there is bound to be talk about just how bad the team is and how it compares to previous teams. To answer the question, let’s look at some numbers. 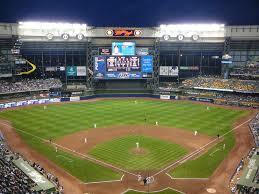 As of Friday, August 14, the Brewers are 48-68, a .414 winning percentage. If the season ended today, that would be tied for the fifth worst winning percentage in franchise history. The worst season was in 2002 when the team was 56-106 (a .346 winning percentage). The Brewers would have to finish 7-39 to reach that level of futility. Here’s a look at the five worst winning percentages in the Brewers franchise history. There is hope, however, and it comes in the form of what other teams have experienced. One quick example: In 2013, the Houston Astros were 51-111 (a .315 winning percentage). It was their worst season in team history. Less than two years later, the Astros are 62-53 and leading the American League West. Let’s take a look at the year that each of the current 30 franchises had their worst season (via winning percentage).